A modern-day Bengali Decameron, My Kind of Girl is a sensitive and vibrant novella containing four disarming accounts of unrequited love. In a railway station one bleak December night, four strangers from different walks of life —a contractor, a government bureaucrat, a writer, and a doctor—face an overnight delay. The sight of a young loving couple prompts them to reflect on and share with each other their own experiences of the vagaries of the human heart in a story cycle that is in turn melancholy, playful, wise, and heart-wrenching. The tales reveal each traveler's inner landscape and provide an illuminating glimpse into contemporary life in India. 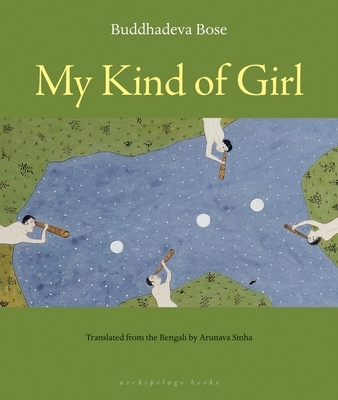 Coming out of a great storytelling tradition, My Kind of Girl is a moving and imaginative look at love from one of India's most celebrated writers. Buddhadeva Bose (1908–74), one of the most celebrated Bengali writers of the twentieth century, was a central figure in the Bengali modernist movement. Bose wrote numerous novels, short story collections, plays, essays, and volumes of poetry. He was also the acclaimed translator of Baudelaire, Hölderin, and Rilke into Bengali. Bose was awarded the prestigious Padma Bhushan in 1970.